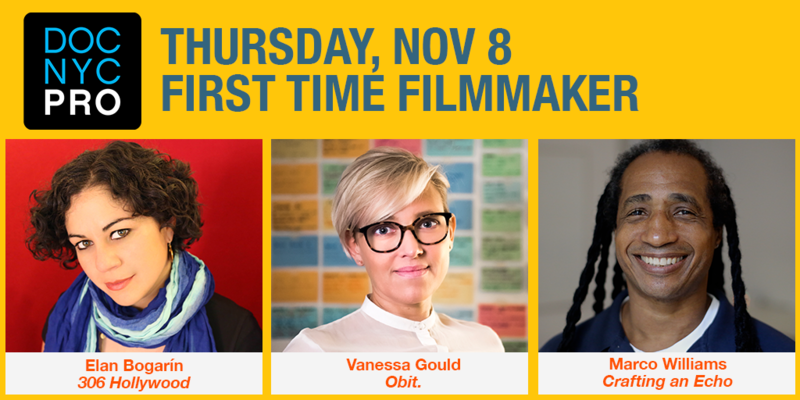 Immerse yourself in panel discussions providing specific, in-depth and enlightening studies for emerging documentary filmmakers. Filmmaker Dawn Porter (Bobby Kennedy For President) shares her thoughts on the current state of documentary filmmaking.Open to all badge holders on first-come basis. Susan Froemke (Rancher, Farmer, Fisherman), Vanessa Gould (Obit. ), Nancy Schwartzman (Roll Red Roll) and Marco Williams (Crafting An Echo) discuss building the foundation of exemplary storytelling. Moderated by Rachel Falcone (Water Warriors). Elan Bogarin (306 Hollywood), Daniel Patrick Carbone (Phantom Cowboys), and Cynthia Wade (Grit) provide tips for taking daunting situations and turning them into cinematic gold. Moderated by Eddie Rosenstein (The Freedom to Marry). Distributors and executives Jim Browne (Argot Pictures), Max Einhorn (FilmRise) and Ryan Krivoshey (Grasshopper Film) shed light on the distribution phase of your film’s journey and challenges you may face. Moderated by Jeanne Drewsen (The Orchard).